Android Auto was announced on June 25, 2014, at Google I/O 2014. The Android Auto mobile app was released on March 19, 2015. It is a part of the Open Automotive Alliance(OAA), which was announced on January 6, 2014, and is a joint effort with 28 automobile manufacturers and mobile tech supplier Nvidia. Hyundai became the first manufacturer in May 2015 making android auto first available in Hyundai sonata. 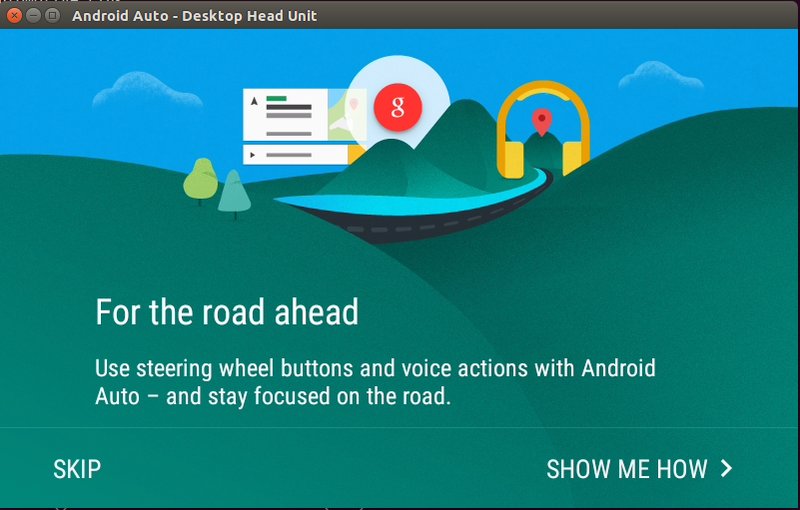 Also, android auto SDK tools and APIs are made available for developers in November 2014. For now, android Auto is only supported for users in the US, UK and Australia and Google is looking forward to add more parts. 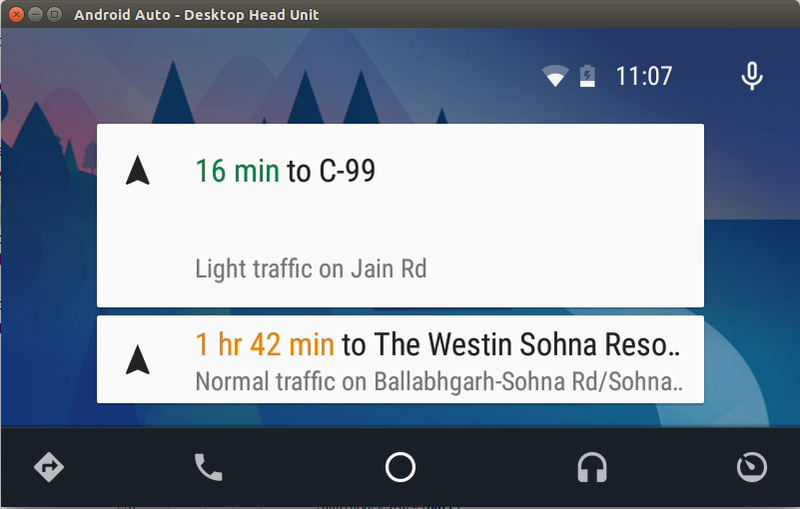 Android Auto is a platform presented by Google that allows building connected experiences for an automobiles. It’s amazing that all our tasks engaging mobile phones can be easily performed even while we are driving. Now with android auto we do not have to worry about attending important calls, messages,notifications or emails… This way drivers could be more focused by having eyes on the road and hands on wheel. To experience android auto, you just need lollipop or higher version android phones and android auto supported car entertainment systems. When you’ll connect your phone to the car’s dashboard head unit, all your auto compatible apps are accessible on the head unit. It might sound confusing that how we can access apps that are installed on our phones to directly access on our car’s dashboard. We can consider it in this way that car’s head unit is a screen that supports android auto and when we connect our phone, displays an android experience that is especially designed for drivers. Functions that are supported by Android auto are navigation/GPS mapping, music, telephony, send view SMS messages, web search, voice recognition. It does not have access over car data right now. This innovation is bringing an android experience with integration of services like voice input(via microphone), touch controls & wheel button controls. Making easy for drivers to have full control over their car. Audio apps allow users to browse and play music in the car. Developers already started making their existing apps compatible with android auto and developing new apps based on auto. To get started, click here. As you can see the image below, car’s dashboard will look like this after connecting your phone to dashboard unit. 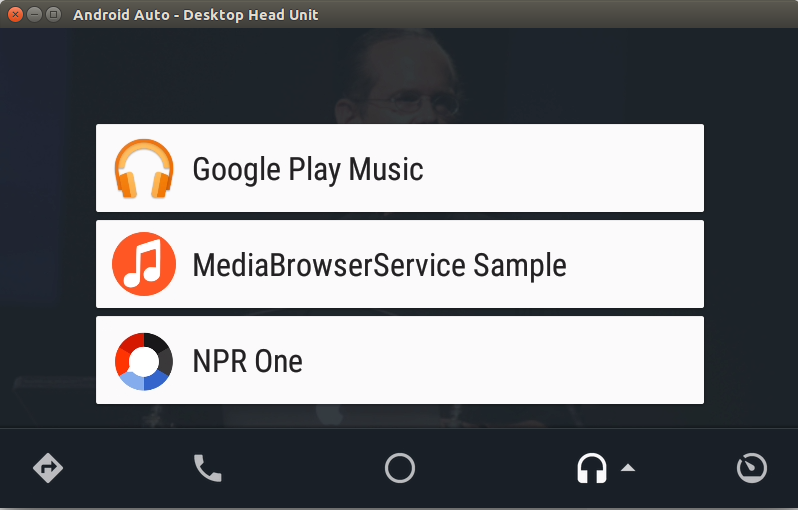 For developers,testing your auto supported apps would be difficult so Google provides DHU(Desktop head Unit). 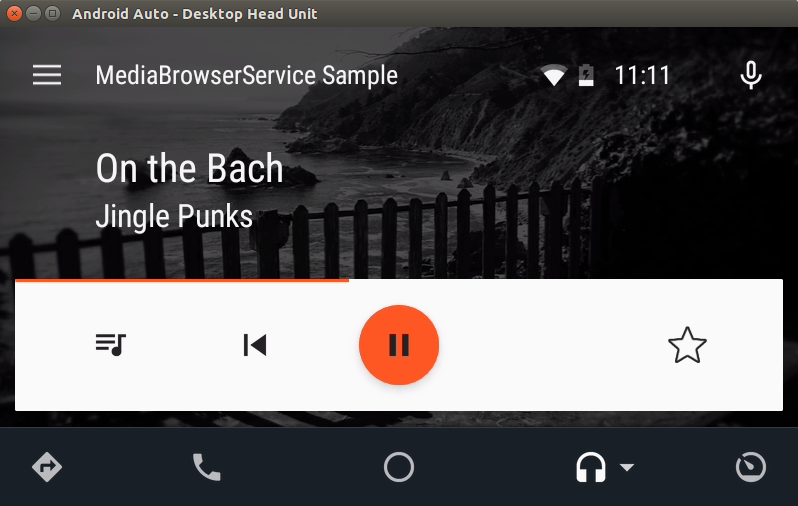 DHU is new testing tool for Android Auto Developers.The DHU enables your workstation to act as an Android Auto head unit that emulates the in-car experience for testing purposes. 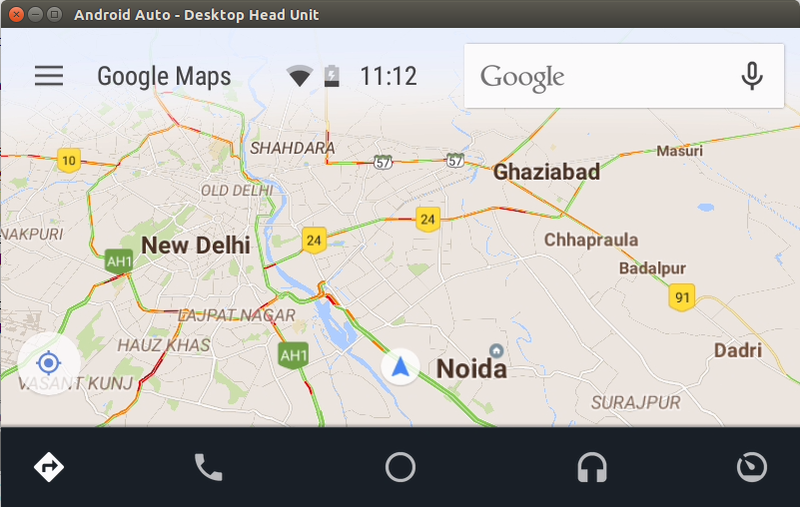 1.Install Android auto app on your android lollipop or higher version phone. (Note: Having lollipop,if you are not able to find Android Auto app on playstore,dont panic, there are some permissions that needs to be completed to install app or it may be the country region of your Google Account.To install app in this case, go to this link. 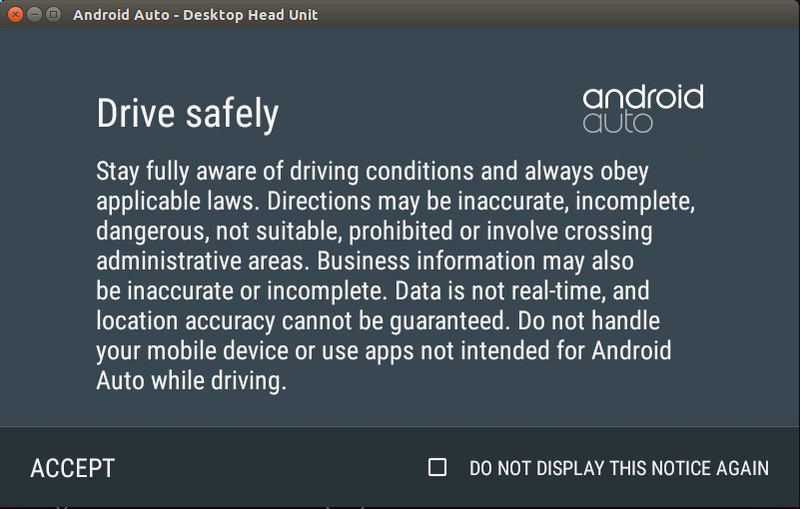 In order to install DHU, open SDK Manager and under Extras, install Android Auto Desktop Head Unit emulator.You can find it in <sdk>/extras/google/auto directory. 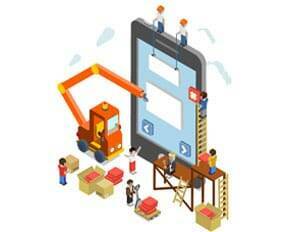 Open Auto companion app in your phone and click on menu icon.You will find only one option available i.e Help & feedback, to enable developer mode tap the header image 10 times.This happens for first time you install the app. When developer mode is ‘on’ you see there are three more options available in menu.Tap on “Start head unit server” to start the head unit server. To make connection between DHU and head unit server running on our phone set ADB port,type adb forward tcp:5277 tcp:5277 in terminal.Don’t forget this step,otherwise it may show ADB server problem or connection failed error! You are ready to build your android auto apps and to test them.For demo, download sample for audio and messaging apps. Arrow on music icon, gives you a list of car-compatible apps that you have installed on your phone. Last image shows how other apps are going to look.You can check here different apps that supports auto.